The Journal of Supercomputing (13 July 2011), pp. 1-19. 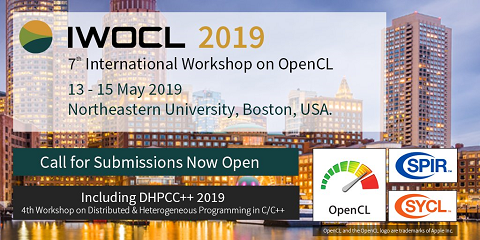 Open Computing Language (OpenCL) is an open royalty-free standard for general purpose parallel programming across Central Processing Units (CPUs), Graphic Processing Units (GPUs) and other processors. This paper introduces OpenCL to implement real-time smoking simulation in a virtual surgery training simulation system. Firstly, the Computational Fluid Dynamics (CFD) is adopted to construct the real-time smoking simulation model based on the Navier-Stokes (N-S) equations of an incompressible fluid under the condition of normal temperature and pressure. Then we propose a parallel computing technique based on OpenCL to accomplish the parallel computing of smoking simulation model on CPU and GPU, respectively. Finally, we render the smoke in real time by using a three-dimensional (3D) texture volume rendering method. Experimental results show that the parallel computing technique we have proposed achieve a satisfactory effect on image quality and rendering rate both on CPU and GPU.